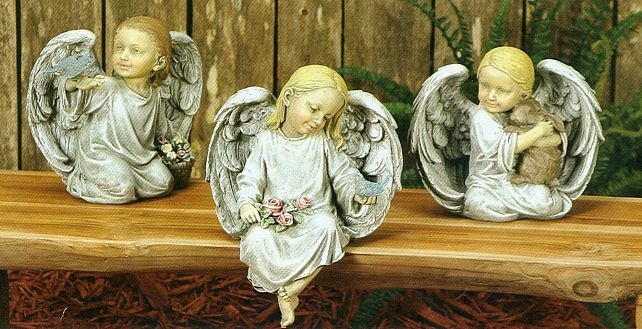 Our set of 3 angel garden figurines adds a joyous theme to the garden and features three young angels with their own theme and pose. The first two angel figurine each comes with a bird and flowers while the third angel is seen with a bunny hugging her close. Made of resin.